Enjoy these 7 vintage songs by the Raspberries & Eric Carmen - Go All The Way, All By Myself, Never Gonna Fall In Love Again, She Did It, I Wanna Hear It From Your Lips, Hungry Eyes, Make Me Lose Control. Child musical prodigy and baby boomer Eric Carmen was born August 11, 1949 in Cleveland, Ohio. Long before he was a senior citizen, Eric Carmen was singing at age 2, enrolled in a preschool program at the Cleveland Institute of Music at age 3, and taking violin lessons from his aunt at age 5. Eric soon realized he hated violin, and became a dropout at age 6. Carmen re-enrolled at the Cleveland Institute of Music so he could study piano when he was 11, and completed seven years of classical piano training in four years. Although classical music was Eric Carmen's first love - his favourite composer was Rachmaninoff - 15-year-old Eric was influenced to teach himself to play guitar when baby boomer favourites The Beatles music landed in America; he wanted something he could play in bands. Three years later, Eric Carmen joined the Ohio band Cyrus Erie and talked fellow guitarist Wally Bryson from another local band The Choir, into joining them. Cyrus Erie became a popular local cover band in Cleveland, and even signed a deal with Epic Records, recording a single with two original songs written by Carmen and Bryson. Bryson quit to return to his former band The Choir, and Cyrus Erie was over. Eric Carmen then started another band called The Quick, with former bandmate Dann Klawon, and they again recorded a single with two original songs by Carmen & Klawon. Neither of the singles were successful, but Eric Carmen's professional songwriting career had begun. By 1970, Eric Carmen and drummer Jim Bonfanti (from The Choir) had started a new band called the Raspberries, comprised of lead singer Carmen playing rhythm guitar and piano, Bonfanti, Wally Bryson helping with lead vocals and playing lead guitar, and bass guitarist John Aleksic. John Aleksic left the group before the end of the year and was replaced the following year with Dave Smally, who also sang lead vocals and played rhythm guitar...Eric Carmen switched to bass guitar. Initially the Raspberries played cover songs by The Beatles and other artists, before gradually layering in original songs. The Raspberries cut a demo in 1972 and sent it to different companies in New York, eventually signing with Capital Records. Before the Raspberries broke up in 1975, they managed to cut four original albums and achieved seven US Billboard Top 100 hits. Their biggest hit song Go All The Way (1972) and written and sung by Eric Carmen, was very popular with baby boomers (perhaps not so much their parents), making it to 5 and was banned in Britain for it's suggestive lyrics. Go All The Way has been covered by other artists and featured in three movies including 2014's Guardians of the Galaxy. A true 70's power-pop/rock band, the Raspberries initially had matching outfits and pouffy hair. Other Top 100 hit singles included I Wanna Be With You (1972), Let's Pretend (1973), and Overnight Sensation (1974). The Raspberries enjoyed a brief reunion tour in 2005 and their last of 10 dates was recorded and released as a live two-disc album Live on Sunset Strip in 2007. Below, vintage Raspberries with Eric Carmen performing Go All The Way live on the Mike Douglas Show in 1974. Now a solo act, Eric Carmen's self-titled debut album of original songs (with the exception of On Broadway), Eric Carmen was the biggest album of his career, reaching #21 on the charts. It included two hit singles in 1976, both of which were partially based on music by his favourite composer, Rachmaninoff. The first and perhaps the song Eric Carmen is still most closely associated with today, is the iconic All By Myself, which went to #2 in the US. Below, Eric Carmen singing All By Myself on Bert Sugarman's The Midnight Special, live. Never Gonna Fall in Love Again was the second hit single from the album (#11 on Billboard Hot 100 and #1 on US Adult Contemporary). It's been covered by numerous artists since then, but below is Eric performing Never Gonna Fall in Love Again live in 1976 on The Midnight Special. 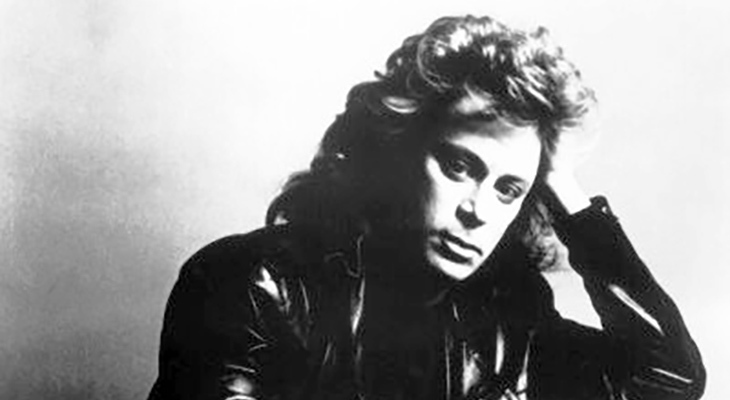 Eric Carmen's single Change of Heart (1978) made it to#19 (#6 US Adult Contemporary), the same year that Eric married first wife Marcy Hill; they divorced the next year. Carmen released 2 more original albums including Tonight You're Mine (1980) which had the Top 100 hit single It Hurts Too Much. Frustrated over creative differences with Clive Davis at Arista records, Carmen took a break from the music industry and moved from Arista to Geffen Records. During his hiatus, Carmen continued to write songs and his Almost Paradise (1984) recorded by Mike Reno and Ann Wilson for the movie Footloose, made it to #7 (#1 US Adult Contemporary). By 1985, Eric Carmen had moved back to Ohio to focus on songwriting and producing music, where he met and began dating Susan Brown. Eric Carmen and Susan Brown got married in 1992 and their son Clayton was born in 1997. The album Winter Dreams was released in Japan only, in 1998; it was renamed I Was Born to Love You and released in the United States in 2000, the same year their daughter Kathryn was born. Carmen also toured for a few months that year with Ringo Starr and His All Starr Band. From 1998 until 2013, Eric Carmen was essentially "retired", raising his family in a suburb of Cleveland, Ohio and taking an extended break from the music industry. During his time off, Carmen also weathered what were no doubt some personal lows, including the death of his father in 2007, a 2009 DUI conviction and the resulting 30 days jail time (stemming from an arrest in 2008), and the end of his marriage to Susan in 2009. Eric Carmen finally returned to songwriting and recorded the new single Brand New Year in December 2013; it was included on his The Essential Eric Carmen album which came out the year he became an official senior citizen, in 2014. The album includes song from his early days with the Raspberries through to his hit songs from the 70's and 80's. Eric Carmen is currently dating Amy Murphy, a Cleveland radio announcer. most educated by your article.